EdWare is proud to introduce Know Your World for iPad, now available to purchase from the Apple iPad App Store from August 05, 2017. 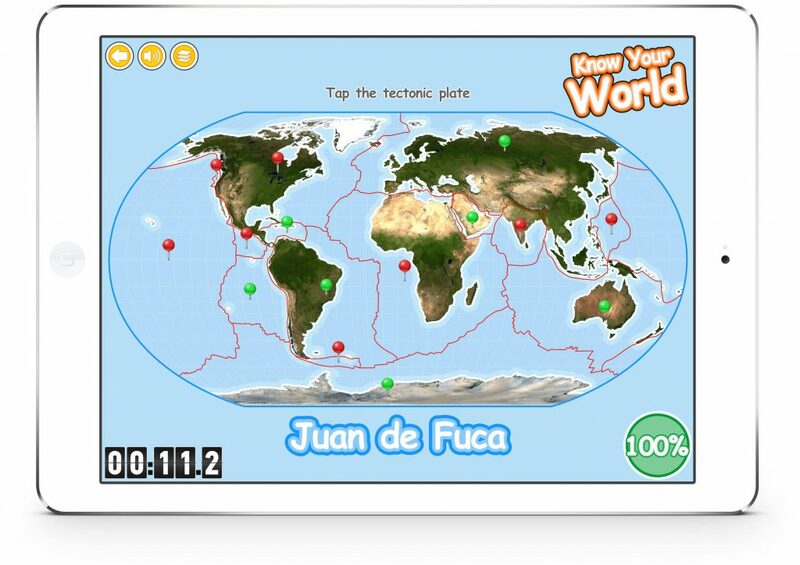 Know Your World is great for learning all about the Continents, Tectonic Plates and Volcanoes of the world in a simple to use touch game. Explore each topic and then take a Quiz to test your knowledge. – A quiz to test your knowledge of Continents, Tectonic Plates and Volcanoes of the World. – An atlas to explore each feature. – Audio narration of each feature.